‘Book of Mormon’ Brings the Laughs to Jacksonville! “The Book of Mormon” may be the most offensive play I’ve ever seen, and I loved every minute of it. The Tony Award-winning production was created by the comedy geniuses Trey Parker and Matt Stone. Stone and Parker are better known as the masterminds behind South Park. The show rolled into Jacksonville on January 17th and continues to sell out Jacksonville crowds. 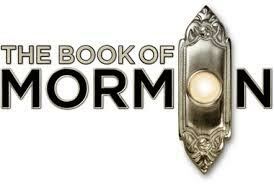 For those that haven’t heard of the show, The Book of Mormon is an amazing musical comedy following the misadventures of two unlikely paired Mormon missionaries, sent to another country to convert the natives to bring more into the fold of Heavy Father. Gabe Gibbs, Connor Pierson, and Bryce Charles highlight an amazing cast in this incredible show. The star and lead of the show are Gabe Gibbs as Elder Kevin Price. The level of optimism the character portrays through heartache, questioning of himself and questioning of his faith is so well portrayed. With every great adventure, the character starts flawed and grows into a hero. It’s such a relatable character, expertly portrayed by Gibbs that makes it impossible not to cheer him on. Gibbs really captures the show with his solo song “Orlando.” Being a Florida native, I’m not always that fond of our neighbor city to the South, but Gibbs’ musical number convinced me to grab a couple tickets to Epcot in February. Not to be overlooked are Gibbs’s costars Connor Pierson and Bryce Charles. Portraying the lonely, yet enthusiastic Elder Cunningham, Pierson creates a performance that is a unique combination of Patton Oswald’s looks and GIR from Invader Zim’s actions and mannerisms. Pierson nails it as being that weird friend we all had in 9th grade, or currently in classes on most campuses. The creepiness factor is equaled only by how sweet and sympathetically Pierson’s presentation plays out to be. It takes a special performer to pull off Cunningham’s dance actions, singing ability, and great comedic timing; Pierson is a gem in this role. Hours after the show I personally was still in tears over Pierson’s dance movies and his great chemistry with actress Bryce Charles. The third part of this amazing trilogy of stars was Bryce Charles as the character, Nabulungi. Don’t try to say it. One of the funniest themes of the show is that no one can really say it, which leads to some interesting choices. At the end of the show, I almost wondered if it’d be a challenge to the actors to make those names up on the spot. While you won’t remember the character’s name, you will remember the actress Bryce Charles. Whether singing in a medley, duet, or her own solo performance about the paradise that is “Salt Lake City.” Her performance is incredible, combined with Charles’ fantastic delivery of dialogue, you can easily see what she’s going to have an amazing career in music and acting. Between group numbers of Mormon missionaries singing “Turn it Off,” the Natives performing “Hasa Diga Eebowai” and a combined troupe performance of “Spooky Mormon Hell Dream,” each scene is flawless and amazing. With so much going on in each scene, you’d have to watch the show twice to capture how brilliantly performed and orchestrated this show really is. The Book of Mormon, presented by the FSCJ Artist Series, runs through Sunday, January 22 at the Times-Union Center – Moran Theater. If you are a fan of South Park and that kind of humor, this show is a must-see event that you will not want to miss. The language and themes are not child-friendly, however, young adults shouldn’t be too shocked at the content and themes. For more information or to purchase tickets, please visit https://www.fscjartistseries.org/. Previous Post Let’s Get Rocked at Welcome To Rockville!